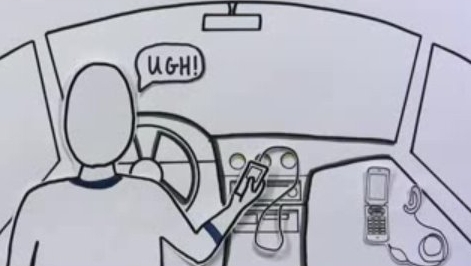 - Common Craft helps Ford explain how Microsoft SYNC works in its vehicles. It's so good it'll be the sole reason you buy a Ford. Or so says the video. It's pretty straight forward but this video explaining YouTube is MUCH more straightforward. - Got thoughts? Head over to ThoughtPile and check out what everyone else is thinking. And maybe win a Herman Miller Embody chair. - Do some good when you waste time playing an online game. The Motion Monkey created a game for The Anthony Nolan Trust, an organization that aids donor matching. - Who doesn't love a dancing cat? - W+K is excited. From their blog: "Awesome news! Wieden + Kennedy has been appointed as lead strategic and creative agency for Nokia's Nseries business on a global basis following a pitch led by the team here in London." - Gawker has a roundup of the fake ads that appeared in Yes Men's fake New York Times which carried the headline, "Iraq War Ends"
- HP has launched a review for its global media planning and buying duties for two areas; the corporate personal systems group and the printing group.